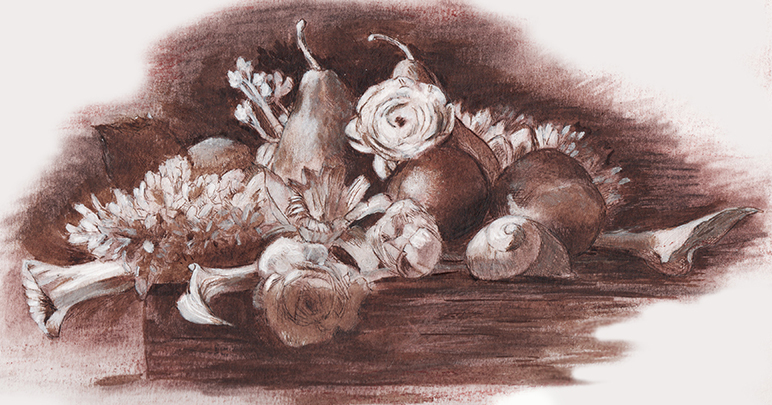 Today’s sketch (charcoal, ink, conte crayon and gouache) is a horizontal study of flowers without vases. I’ve also included the solid shapes of plums, pears and a shell. I often exclude man-made items such as vases, bowls, etc. or deemphasize them, keeping the focus on the natural objects.